The previous pages show some of the people who worked on the production line. There are also some photos of other people around this website where appropriate. 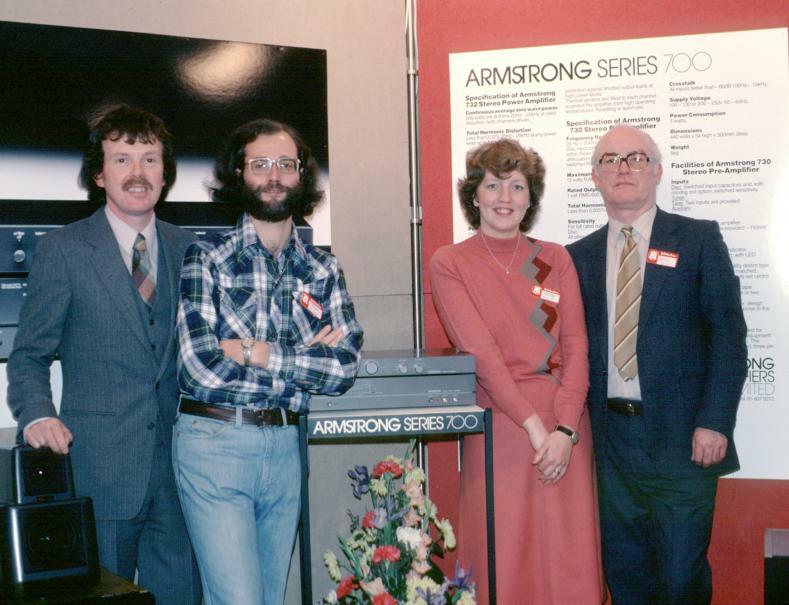 However a large number of people were involved over the years with developing, making, and selling Armstrong products. This page shows photos of some of them, and provides a brief outline of what they did. Barrie Hope. 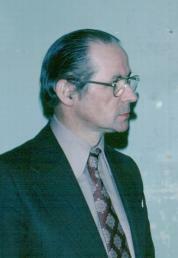 Barrie was the export/sales director of Armstrong during the 1970's. Also in charge of managing the development of new products. This included the mechanical engineering, styling, features, and what we would now call ergonomics. Jim Lesurf (me!). The person who designed the electronics for the 700 range, and made various changes and improvements to the 600 range during its last few years in production. I had more hair then! Celia Hope. Celia was employed in the office at Armstrong, and she married Barrie during the 1970's. Alex Grant. Alex was a director of Armstrong for many years. He provided the main financial backing to continue the effort to produce the 700 range after the factory closed. In effect, the people shown above were the team that developed the 700 range and brought it to market. As explained elsewhere, at the time the factory was in the process of being run down. 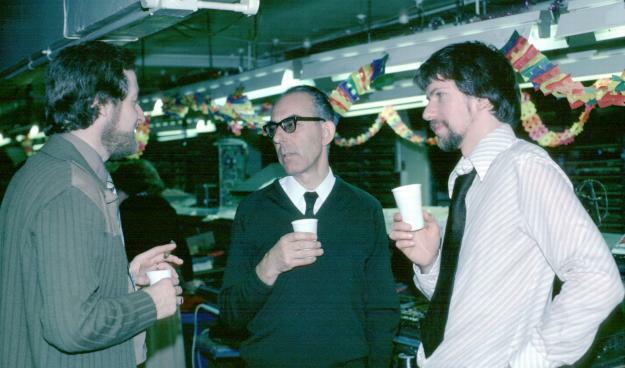 However Barrie and Alex put a huge amount of time and effort into seeing that the 700 range was developed and marketed as they intended to carry on Armstrong as a UK audio manufacturer. At first I was employed full-time by the company to develop the new range. Then as the available money reduced I moved to a different job during the week. However at weekends I used to journey down to Barrie and Celia's home in East Grinstead where one of their back bedrooms was converted into a test and development lab. I then worked on the units during the weekend. Barrie then followed up this work during the week, supplemented with phone conversations with myself! Alan Farquharson. The managing director of Armstrong for many years. Jeff Bonsor. One of the people responsible for production engineering and component purchasing, etc. Ken Hart. Ken was the main person responsible for production. He was in charge of organising the production line and kept detailed records of production, technical and assembly modifications, etc. Alas, although very detailed records were kept at the time these have now all been lost so we can only estimate how many of each model were made, or what modifications were made to them during their production life. 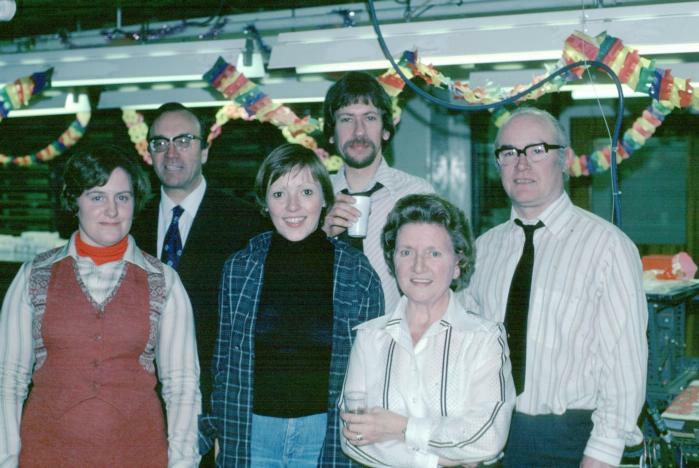 This photo shows Ken at the same 1970's factory Christmas party as some of the other photos on this page. Ted Rule. Ted worked for Armstrong for many years and designed all their units from the later A-series up to an including the 600 range. 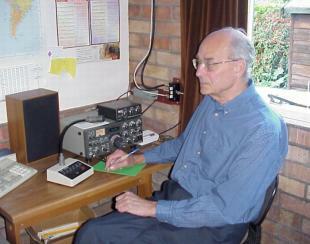 This photo was taken of Ted around 2000, and shows him working his amateur radio equipment. George Tillett. George designed models for Armstrong in the early 1950's and was responsible for the early A-series amplifiers. 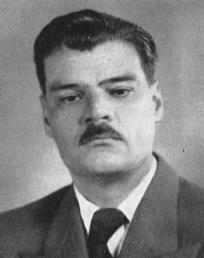 This photo shows him in the 1950's. Unknown to me, I'm afraid! Ron Sheppard. During the 1940's Ron designed a number of models for Armstrong. Although he ceased development work he became the repository of all wisdom about past models and any faults or problems. During the 1970's he was in charge of all customer enquiries and his encyclopedic knowledge and friendly nature made him a superb ambassador for the company. Jeff Bonsor. (See above.) After Armstrong shut down, Jeff went on to do a considerable amount of work promoting Christian broadcasting and communications. Tom Budd. General handyman and fixer. Jack Brown. Stores and goods inwards. Cyril Page. For many years the chief test and repair engineer. When Cyril retired his job was taken over by Twaleb Jooman. Twaleb is now one of the owners of AHVS, the repair company which Armstrong evolved into when it ceased producing audio equipment. In general, most of the key people worked at the company for decades. It is perhaps an interesting sign of how much people enjoyed working there that so many good people stayed there so long!